Andres Levin talks about his band, a mixture of latin, funk, pop, folk, and dance. Part of the 2007 Tribeca Film Festival. 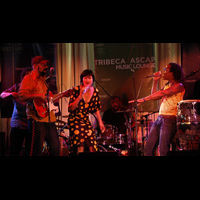 Yerba Buena live at the 2007 Tribeca/ASCAP music lounge.